There are only a few apps on the Play Store with more than a billion downloads, and you've probably heard of all of them. Most are Google apps like Gmail and Maps, but Facebook has a few on the list as well. Now, Play Movies & TV has hit this milestone just a few weeks after Newsstand did so. So what does having a billion installs mean? 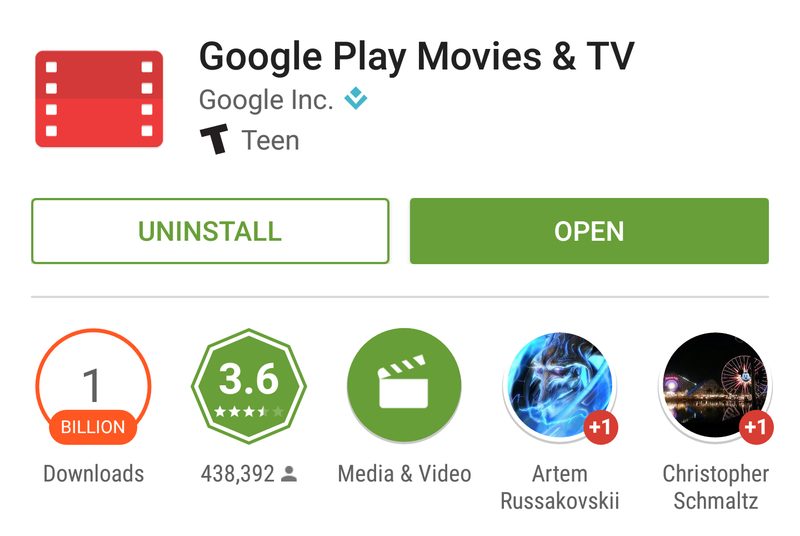 Play Movies obviously ships pre-installed on a lot of devices, and Google counts each account as an install. So if you've used a phone or tablet with Play Movies installed, that counts. The Play Store doesn't count additional devices you might have had, so this is more or less an estimate of total users. It's not active users, though. The Play Store doesn't subtract downloads when someone removes an app. Play Movies is now in the 1-5 billion bracket. Nothing has exceeded 5 billion yet because, you know, there are only around 7 billion people on the planet right now. So what's going to be next? Maybe Google Calendar or Translate—both are getting close.